From lithium ion to solid state batteries, you can use our in situ tools to invent, test, and explore new solutions for the rapidly growing energy demand. As energy demands grow, the need to understand and characterize the underlying energetic reactions of the materials and system also grows. With in situ electron microscopy, you can directly image and measure the performance of nanoscale batteries, catalysts, piezoelectrics, and volatile materials to quantify the reactions of interest. Learn about Protochips' groundbreaking liquid cell for in situ TEM and STEM. An Fe nanoparticle etching few-layer graphene (FLG) at 900 degrees C and 600 Torr of H2. The Fe nanoparticle preferentially etches the graphene along specific crystallographic directions. 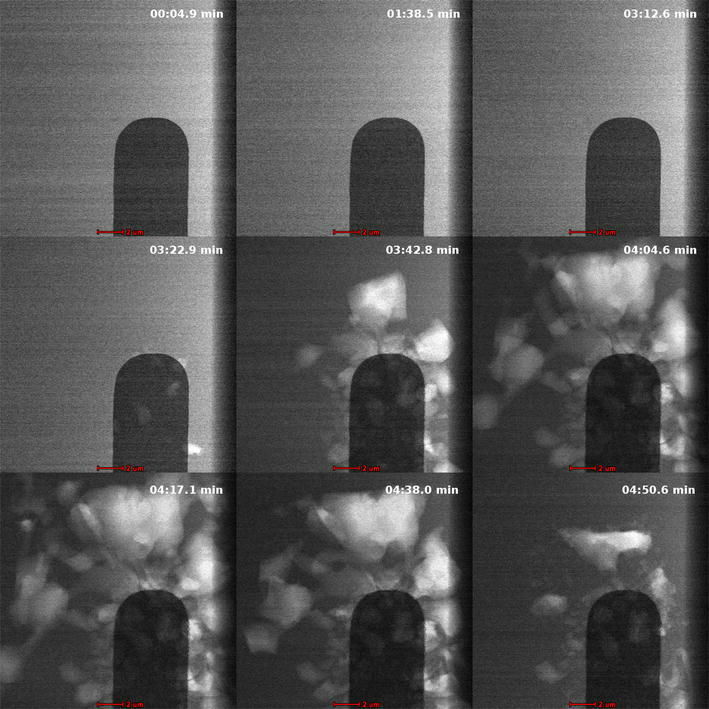 Test the performance and observe structural changes in solid-state batteries within your SEM or TEM. 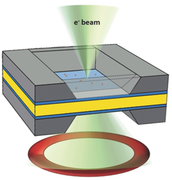 Mimic wafer fabrication conditions inside the microscope while observing chemical and structural changes. 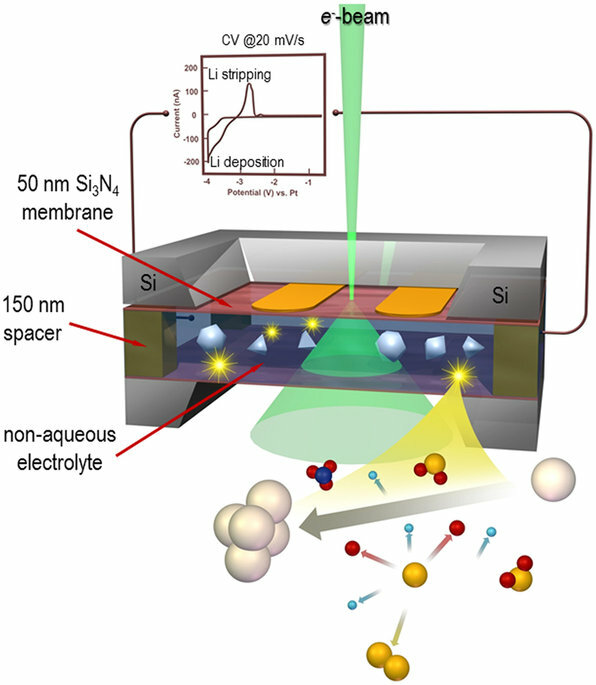 Cycle nanoscale lithium-ion batteries and study the dynamic processes within the liquid electrolyte.